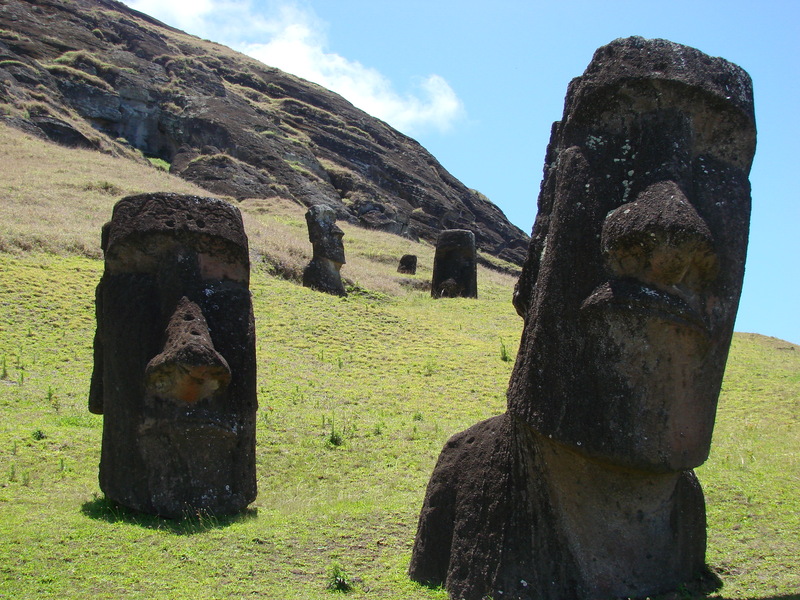 Easter Island (Isla de Pasqua) is an environment, a society, and a culture completely unto itself and should be visited by everyone at least once in their lifetime. Why? Many of the cars are old and beat up, but still running (what I expect Cuba to be like when I finally visit). Telephone service and the internet exist, albeit slow and somewhat circa 1990s (be warned you digital maniacs!). Housing is only what it needs to be: protective and safe but really nothing more. But it all works in a non-hurried, self-sufficient sort of way. Here’s a great example: I went in to the “more modern” supermarket (as described by my hotel, amongst the 3 options that were provided) and what I found were large but mostly bare shelves with one or two of each thing except for the staples: rice, sugar, and flour. Everything else, I would venture to guess, is provided by the land and that, ultimately, is what I found so wonderful about Easter Island. And although I will rarely tell you how much time to allow for a visit, Easter Island is the exception: you need at least 2 full days on the Island to be able to see the numerous Moai and to learn about this amazing land, it’s history, and to meet its people. I flew in on a morning flight from Santiago so I had half a day to walk around the “centre” and left on day 4, in the afternoon, to allow myself the necessary time to explore. And the other tourists I spoke with agreed: 3 nights is the optimal time required. In my research, there were three levels of accomodations on the island: the hostal/room in a house for about $60, the mid-range at about $200 – $300, and the all-inclusive for well over $600 – $1300 per night. 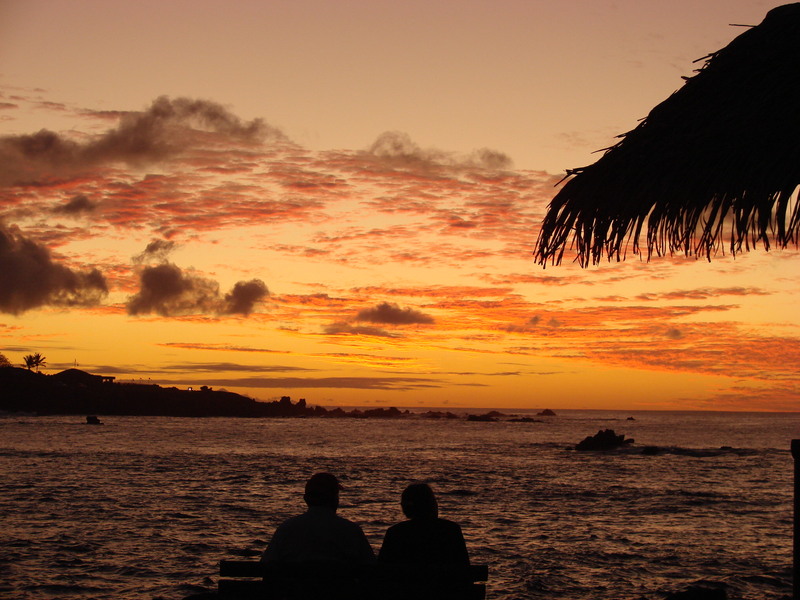 When choosing your hotel, I would encourage you to choose something close to the “centre” of town as there isn’t much else happening on the island that you can see on your own. I chose the Hotel Puku Vai (www.pukuvaihotel.com) which is a short 5 minute walk from the airport and one of the mid-level hotels. (Don’t worry: only LAN airlines flies in and out, once a day, so there is no airport noise.) Right off a main street and a 15 minute walk to the main street and “centre”, the staff are kind and helpful, the breakfast extensive, and the rooms clean and what I would guess to be traditional. 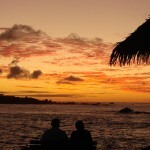 I will be honest and say that I was nervous when I viewed the pictures on the web but there is something very important to keep in mind that will help you with everything on the island: remember that Santiago and Hawaii are both about 4000km away so everything on this island, if it’s not grown here, is imported. It’s all relative. Another place that I saw, but was quite expensive when I initially made my inquiries, is the HangaRoa Eco Village situated right on the coast. The rooms look stunning and only a few minutes away from the “centre” so if money is less of an issue, you really should consider this hotel. Keep in mind that if it’s not grown on the island, it’s been imported (via the daily LAN flights from Santiago!) which means that things can be expensive and food options somewhat limited. This is also important to keep in mind for lunch and dinner: you can’t just walk up and say “I’d like ___” like we normally do: they have enough food on hand for the planned meals; unplanned meals are more difficult to cater for so be prepared. And for my vegetarian readers, as well as those with food allergies, this won’t be a dining paradise I’m afraid. But you’ll survive and the food choices should not stop you from visiting this amazing place. La Kaleta (http://www.lakaletarestaurant.com/servicios.html) is a lovely little restaurant in the centre of town, near the ocean. Its location, of course, makes for a lovely site for dinner with sunset views. The menu is mixed, focusing heavily on seafood of course, but there is also meat and pasta dishes, all written on a chalkboard for everyone to view. They also have a full-service bar which is not too expensive and the staff speak varying degrees of English so I would definitely put this on your list of places to dine. The other place that I dined, and which would probably be my “if I only had one night on the island” choice, was Kaloa Pasta and Bistro at the HangaRoa Hotel. With stunning views over the ocean, which makes for a very special sunset dinner, the prices weren’t much more expensive than any other place on the island, the staff was great and spoke wonderful English, and the kitchen was willing to help this vegetarian with a lovely pasta primavera! And organized tour is a must. If you can afford it, I would book a private tour as I am certain that you will learn of things that a larger, group, tour isn’t able to offer. Kia Koe Tours appears to be the largest on the island and that is who I used, based on recommendations from the hotel. The other that I saw, and which appeared to be doing the same route was Mahinatur and, from what I overheard, they seemed to be a bit more in to the history of the island so they might be worth a try but I don’t know the prices. Other than the mandatory tours, there really isn’t much to be done on the island. I was here on a Friday and Saturday night and it was no different than the Sunday night: subdued, relatively quiet (except for the chickens, dogs, and occasional motorcycle), and no nightlife to be had. 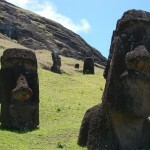 This entry was posted in Chile, Easter Island, South America and tagged cuba, easter island, Moai, Pukao. Bookmark the permalink.